I kinda feel like it's been ages since my last post! Well, probably because I used to post my makeup works everyday when the first time I started to blog. So on the last 10th July, I had such a great time doing makeup on many models for my university's fashion show called Creativity in Motion. 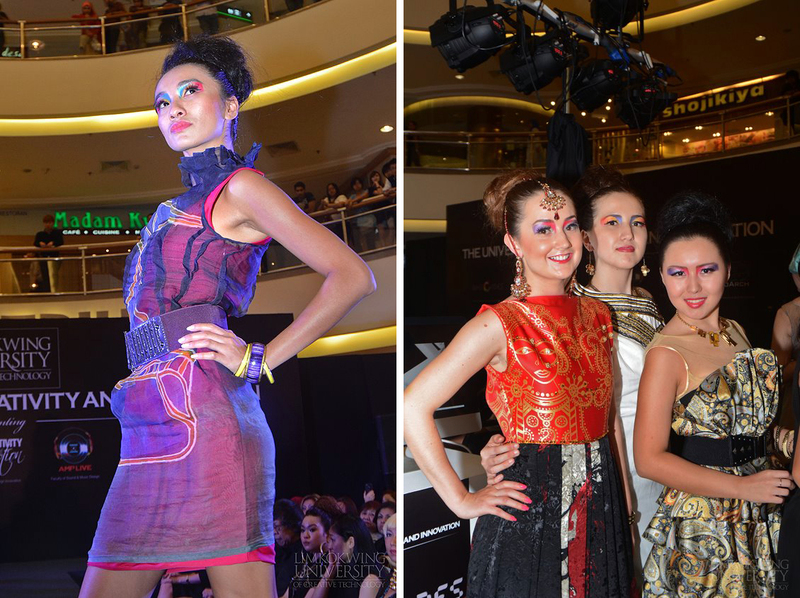 It was held in Midvalley Mega Mall - Kuala Lumpur. Oh, I think I have never mentioned my university before. So for those of you who don't know, I am currently studying in Limkokwing University in Cyberjaya, Malaysia. Actually, some days before the event, my beautiful friend Fernika Thomas who is one of the committee of the event asked me to do a singing performance for the show. But few days after, she finally told me that the uni wanted me to do the makeup for the models. It was such an honor for me to be able to work for the fashion show. And fyi, the cosmetics are sponsored by Anna Sui Cosmetics. Wasn't it cool?! but I ended up use some of my own due to the inconvenience I found using the provided cosmetics. However, I like the Anna Sui foundations and the glittery eye base a lot. 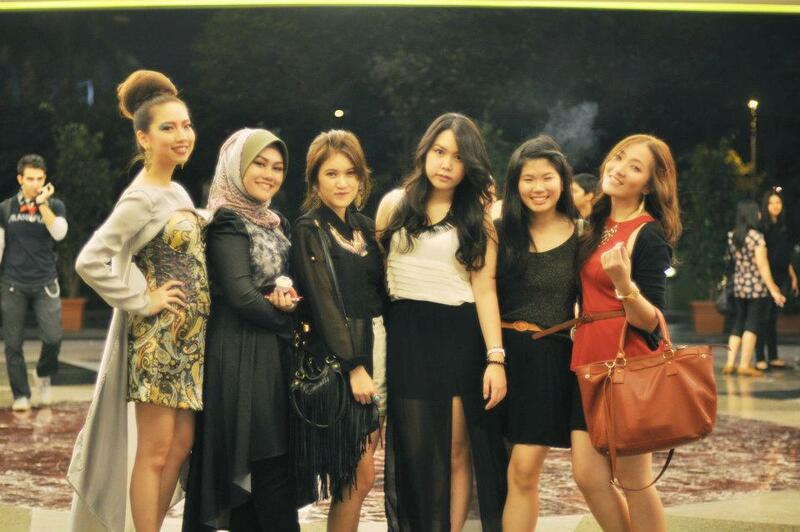 At that time, I worked with three Anna Sui makeup artists and four Limkokwing makeup artists. It was such a good experience for me to work with other people and see how different people create different outcomes for the same concept of makeup. 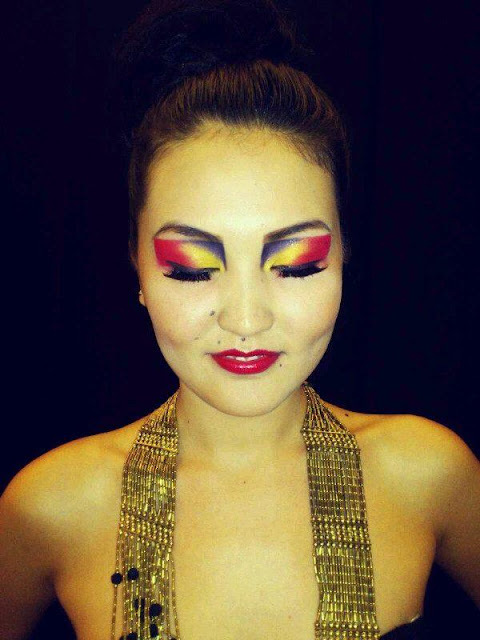 The makeup look I did for Zhansaya Satybaldy (Kazakhstan). Before the makeup session start, the committee did brief the makeup artists about the makeup reference that they want us to make. The makeup was all about squared gradient colors on the eyes and statement lips. Since it had to be symmetrical and I am just a kind of perfectionist in this case, I took my reference seriously. Neatness is the key of perfection for this kind of look. Aaaand I was so happy to know that some models and even the committee of the show liked my work the most. Knowing that your clients love the makeup u do is one of the best thing being a makeup artist. Although because of that, I had to fix some looks that weren't created by me in order to make it closer to perfect. That was quite tiring, but fun! The fashion show itself was meant to be the show for fashion design students' final garment. I honestly cried a little bit when my beloved fashion student friends came up on stage with their models and garments. That moment was sooo touching my heart! 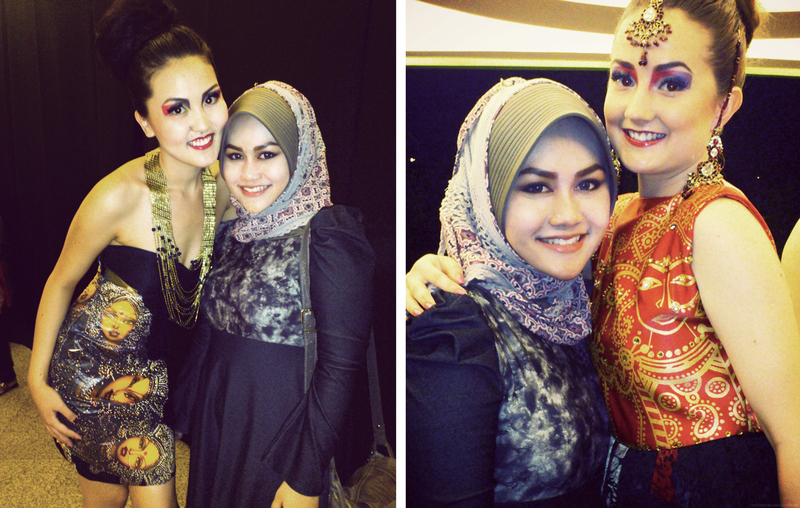 Well if you checked my previous Makeup by Me blogposts, you may know Bianca Agustina and Maria Sandra. I did the makeup for their garments photo shoot. The garments that are in this and this post are some of the garments that were shown in the fashion show. 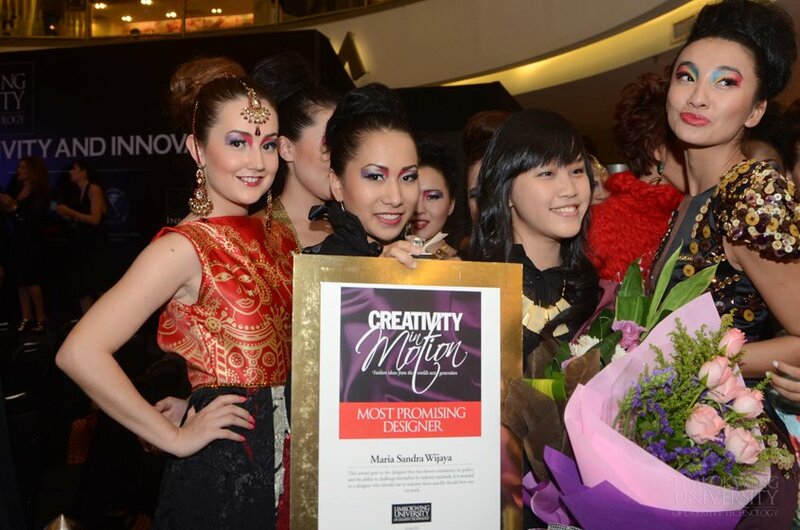 Maria Sandra with her award and the models. My favorite girl Bianca on stage! Overall, the fashion show was successful and full of joy. It was such a precious experience for me to have. I hope I will do more fashion show makeup in the very near future. And hey, here I have my photos with two of my sweet models and friends that day! Fernika, Vizzya, Okky, Bianca, Angel, and Jossy. Photos by Limkokwing University and Me. wholesale cosmetics We have check the place, This can be rather helpful AS WELL AS personally. my spouse and i envy the particular valuable facts people present Just as area of your post. quite a few thanks regarding putting up ones idea..